continue reading "Wedding Pie? Don't mind if "I do!"" The ParsnipShip specialise in vegetarian and vegan foods, selling their wares at various farmer’s markets and fayres around the country. Pierateer SJL and I happened across their stand at the Gloucester Christmas market. While many companies make veggie foods as part of their ranges, it always pleases me to find one that specialises. Often their pies have more unique flavours and unusual fillings. 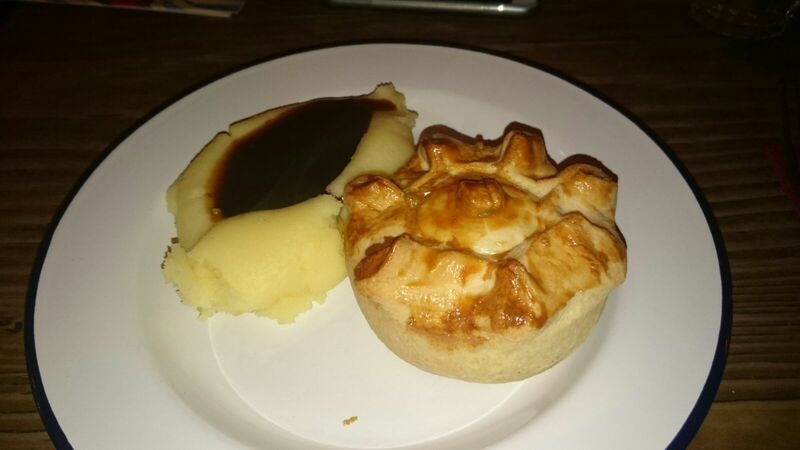 Both these pies were slightly unusual in that if they were inverted and microwaved that would become a ‘pudding’. Of course, this isn’t the number one pudding rating site, so I kept them right way up and popped them in the oven. The Indian Balti had a dry and crispy pastry, but intentionally so. It had a beautiful golden colour. I think it may have been flavoured/coloured with turmeric. It complemented the lovely curry flavour which was warm without being too hot. The pastry on the bottom was lovely and soft – I don’t know if this has anything to do with its possible pudding transformation, but it was really nice having a pastry crispy on top and soft at the bottom. The pie was chock full of content, and the filling was tender with the perfect amount of crunch. The chickpeas inside provided a good portion of protein and I enjoyed the orange vegs. Overall though, it was a little dry. It wasn’t a large pie, but this suited my appetite nicely. I imagine it would be a great compliment to a curry, or some Indian side dishes. The mushroom pie had the same pastry, without the turmeric. It was however more buttery, but then, this one wasn’t vegan so it probably actually had butter in it. Inside was a lovely combination of green lentils, mushrooms and tomatoes which was also quite dry, but again, a nice portion of protein. The buttery pastry complimented the tartness of the tomatoes wonderfully. It was quite a bland flavour but it a good way. 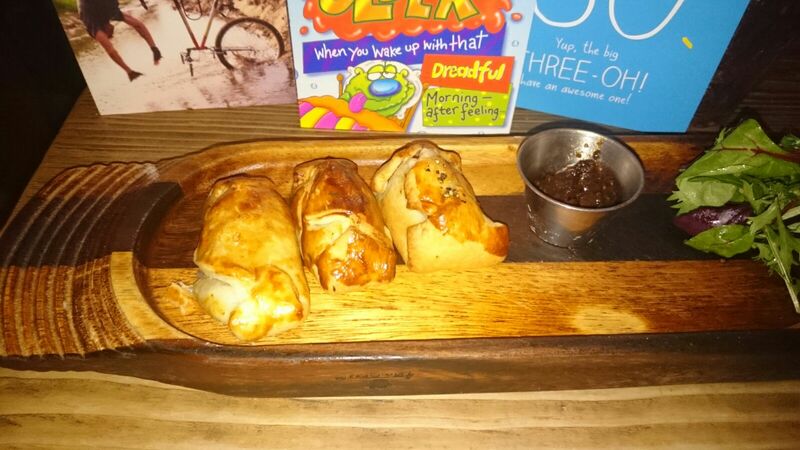 It let the mild, nutty flavour of the mushrooms and the buttery pastry speak for themselves without being overpowered. 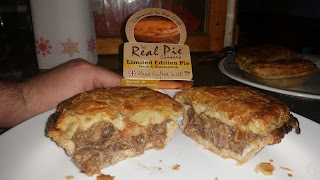 continue reading "Parsnip ship Pierate ship"
It has been almost two years since I first got my hands on the amazing pies being sold by The Real Pie Company, which all rated at least as Pierate Recommended but with plenty of Pierate Highly Recommended pies including a 6.46/7! And with well over 3,000 views of that review and countless appearances on TV shopping channel QVC now under their belt, I thought it was about time I got hold of a few more! And with me celebrating the big 3-0 last month, it felt an apt time to put in an order to entertain the guests at the pie-rty and see what new offerings The Real Pie Company could provide. 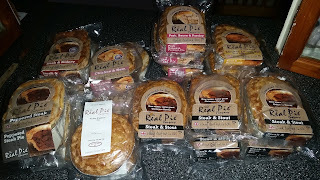 I was therefore both amazed and delighted that The Real Pie Company were willing to send us several free boxes of pies - containing 20 pies in total! - to keep our guests happy at the pie-rty and also a couple of new pies that were either new or not quite on their books yet but coming out soon! These were the Limited Edition Steak and Horseradish pie and the All Day Breakfast pie, which contained bacon, sausage, egg and baked beans. The morning after the pie-rty before! 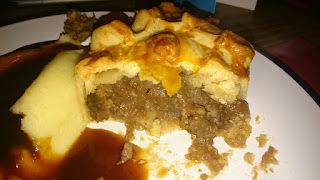 Firstly the Steak and Horseradish pie, which came in the beautiful packaging of similar style to the previous pies I had before. The pie was a decent size, coming out nice and golden in colour with a great capacity upon cutting it open. 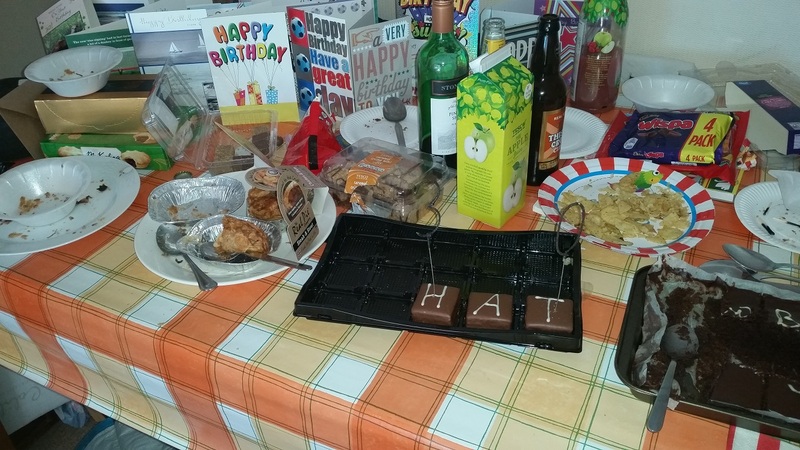 Because I served it alongside a Peppered Steak and a Steak and Stout pie, I did have to ensure I got the right one (as they all looked quite similar!) 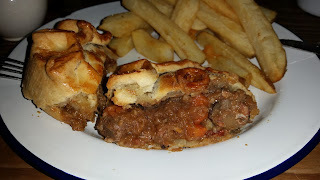 but was delighted to tuck in and find it just as good as the steak pies I had previously and one of the best steak pies I have had in a while. The filling was “Crammed to the Crust” just like the slogan that adorns the pie packaging on these pies warns you! Not that I'm complaining one bit, with capacity one of the famous 7 Cs we rate pie on. And the Real Pie Company pies had a really good capacity throughout their range. The pies had a good pastry – golden and crisp – with a classic shortcrust base and sides and puff pastry lid. The meat was in general very nice and tender, with a nice gravy and hint of horseradish that added flavour but didn't overpower the taste. At £2.95 each for a pie so packed with meat, this represents a good price, though they aren’t the biggest pies and thus aren’t quite the perfect value pies. But you can buy in bulk on The Real Pie Company website to get your pies cheaper. I'd certainly rate this pie as strongly as the other Steak pies in their range and let you decide which you'd choose based on your own personal preference of steak accompaniment! It was also a treat to get my hands on an All Day Breakfast pie, particularly as these were so new that they had a temporary packaging while the official package design is completed and printed off! Talk about hot off the press!!! 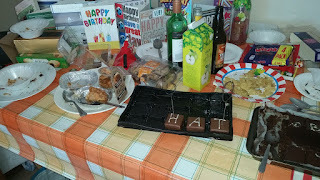 We've had a few All Day Breakfast pies in our time on the Pierate Ship, with a slight variety in filling in each one. 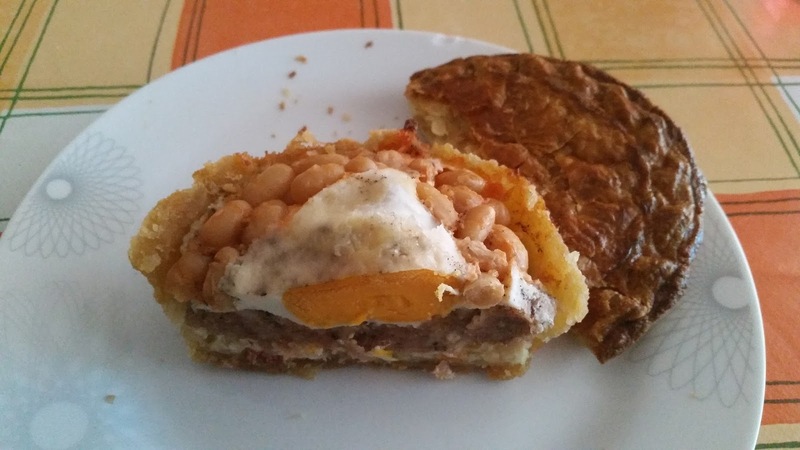 This one from the Real Pie Company had a layer of bacon, topped with sausage, topped with an egg, surrounded in baked beans and finally all fully encased in pastry! Quite a mouthful to say and also to eat, this pie was once again packed to the top with filling, and when I "lifted the lid" on this pie, so to speak, it was clear what care and precision had been put into making this pie. The layers of food and lovely arrangement of baked beans made it a visual treat, while also gaining consistency in the filling. 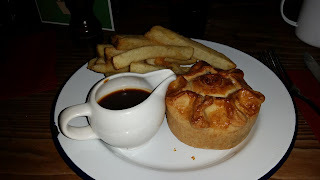 A couple of things to note: There was a nice range of flavours in the pie but it was quite dominated by the sausage meat (which does make sense, as it was the largest item in the pie). Plus the baked beans didn't really have much of a distinct tomato-ey taste, which was fine for me as I don't like overly-tomato flavoured foods, but for someone who loves the normal tomato-ey taste of full English breakfast beans, this wouldn't tick your box! 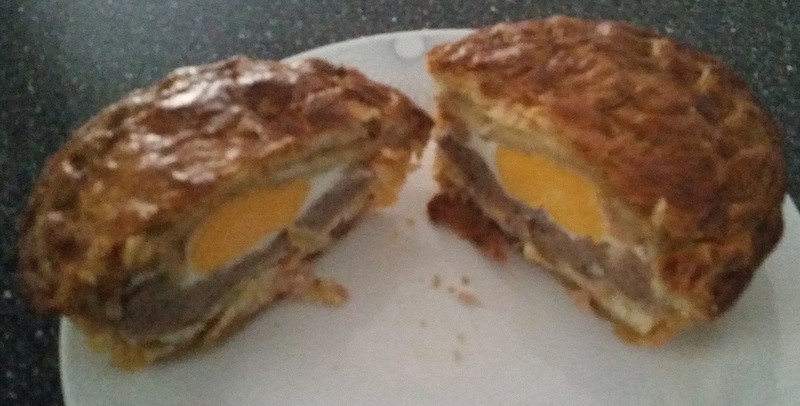 I however enjoyed the taste combo, and my main reminder to you is that this pie is a lot more filling than you might imagine, what with it being a calorific all English breakfast which has then been encased in pastry as well!!! 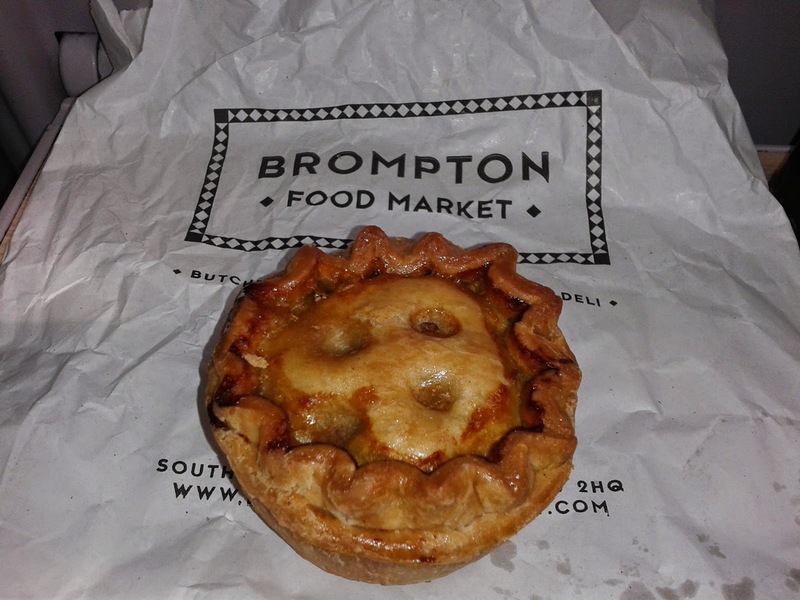 All in all though, it was the best All Day Breakfast pie I'd sunk my teeth into, so great job! 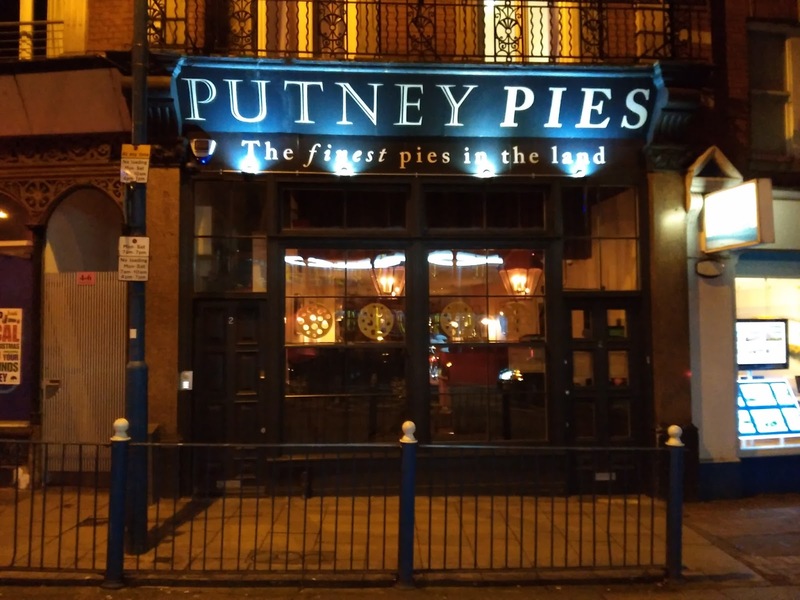 So there we have it: they real-ly have done a great job with these pies – with two more Pierate Highly Recommended pies to add to their long list of accolades! 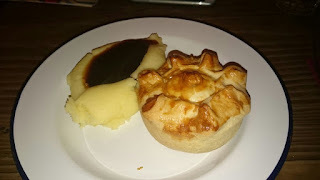 And I'm delighted to hear there are other pies in the pie-peline, so we look forward to giving them a pie rating soon! Many thanks to Brett at The Real Pie Company for sending both these two pie samples and lots of other pies for our Birthday Pie-rty. It was a great night because of the great pies! 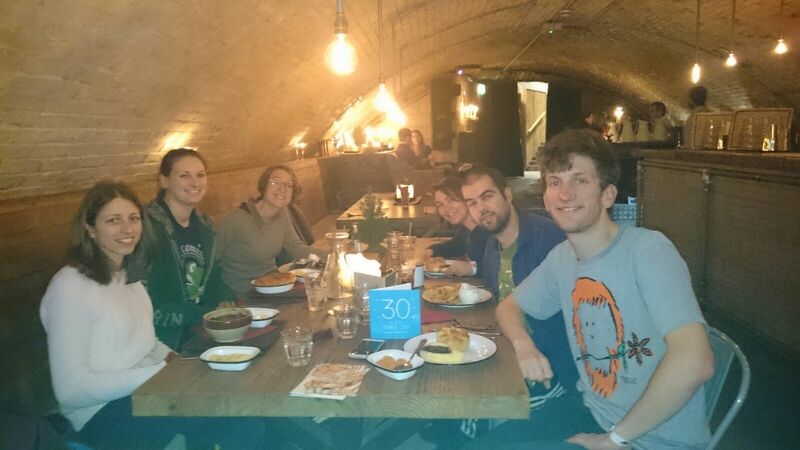 And thanks to Amy, Becca, Dan, Hannah, Jeremy, Katharina and Laura for coming along to our after pie-rty pie meal! continue reading "I real-ly can't fault these pie much!" 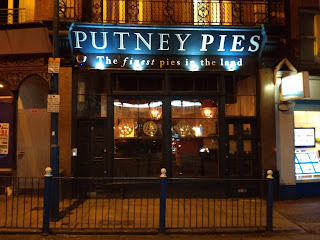 continue reading "Are Putney Pies REALLY the finest in the land?"